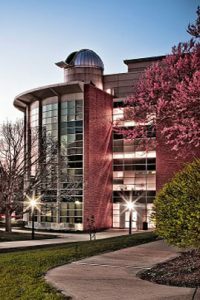 Macon County is lucky to have a state-of-the-art observatory right in our own backyard at Millikin University. Meet at Rock Springs Nature Center to learn about what’s visible in the night sky, then hop in our van as we attend a Public Observation Night at Millikin’s Requarth Observatory. Free. Space is limited. Register online by April 24.